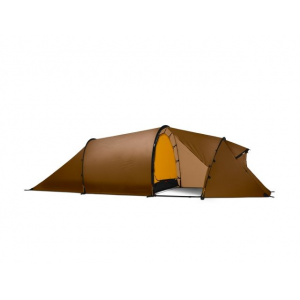 A specialized mountaineering tent for use primarily at high altitudes, or where the user can expect to encounter sub-zero weather and/or arid conditions. It is in its element at very high elevations. Most objections to this tent are by individuals who do not understand the technical characteristics of the tent, or employed it in conditions for which it was not intended. One should check the weather report and consider taking a different tent if the forecast calls for rain and/or the temp will drop below the dew point. The EV2 is a high tech, no frills elite mountaineering shelter that is ultra light, easy to erect quickly, and offers stout protection in severe conditions. 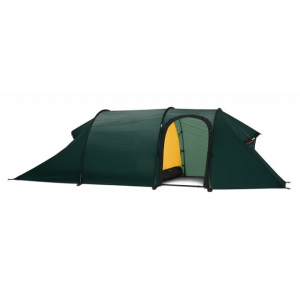 The EV2 is an exceptional tent which has a very specific and limited scope of intended use. This is not really a desirable tent to own unless you have some advanced mountaineering experience and intend on spending significant time at high altitude venues. It's designed for use by professional mountaineers and those interested in pursuing extended activities at high elevations, in general. Essentially, this shelter can be characterized as a large "bivy" style tent with some exceptionally desirable characteristics, including interior spaciousness, state of the art venting, structural design, and materials which make it an outstanding shelter to have. I own or have owned the Direkt 2, the EV2, and the EV3. My personal choice was to keep the Direkt and EV3, and part with the EV2. But, the EV2 is an excellent versatile single solution alternative to owning the other two tents, and so I will take a moment to discuss them. First thing to be aware of is that the EV2 and the EV3 are now in their second commercial design version. The first versions were extensively reviewed and may still be bought "new" out in the market. But, the latest version is more desirable. The chief issue with the first version is the fact that it is very difficult to get the tent taut when guying it out, an important factor when having to face down high winds. A taut tent will withstand high wind conditions, and give superior protection to its occuppants compared to one that flaps raucously and sometimes violently in such conditions. In practice, in the case of the EV2, both shelters actually perform very well, but the newer version is simply better...they got it right. Everything about the tent is great...for its intended use. It really is an excellent tent. However, the chief criticism some have has to do with the design of the integrated vestibule. Most are used to the utility of relatively spacious vestibules incorporated into the rainfly on most double wall tents where items can be sheltered, but are not "in the tent". In the EV2, the vestibule is part of the interior of the tent, so there is no separate sheltered space outside of the interior of the tent. As a result, there is no separate mesh screen or fabric barrier between the inside of the tent and the outside. For some, it's problematic, and more often than not, it is likely that spindrift and wet will end up getting into the tent no matter how careful one is, and of course, the door must be closed at all times if for some reason, you encounter an infestation of mosquitos at 14,000ft (Ha Ha). The vestibule floor does have a zipper which opens up but, in practice, it is most useful for sweeping debris, etc. out of the tent, and to create a space where you can put your boots and crampons on without damaging the tent floor. I experimented extensively with the EV2, but, ultimately, I found the design of the entry on the tent limited the tents utility to me even at high altitudes since it is essentially impossible to use the vestibule as a shelter for cooking without putting the tent at risk. I am sure someone would find that risk acceptable and not hesitate to cook in it, but my experience is... Murphy's Law....especially when conditions are extreme, which is when the ability to cook inside is most valuable.....so the design was unacceptable to me. However, if MH had implemented the same vestibule design as on the EV3, (where entry can be made from either side of the vestibule, using zippers that run down the side of the tent then forward), I probably would have kept the tent. As anyone reading the other reviews of the tent posted here can see, almost all of the negative comments about it are by people who do not understand its technical features and how to use them, or had taken the tent on a trip in conditions the tent was not designed for. For most, it would seem ridiculous that a backpacking tent wouldn't be an effective barrier against rain, but at 12,000 feet, it doesn't rain, it snows. Any single wall tent that has only one entrance, no mesh panels and only upper venting options simply will not be serviceable other than for use at high altitudes or in sub-zero temperatures, unless they are made from non-breathable fabrics such as silnylon conditions, in which instance, you will always get wet from internal condensation regardless. There has been a lot of technological development in fabrics and truly, the fabrics MH is employing on these tents and in their Dry-Q garments are state of the art. For my purposes, the larger EV3 is more serviceable, a more generous accommodation for two climbers on extended trips, and in extreme conditions, a better solution for my needs. I can comfortably boil snow in it without causing condensation to form inside the tent while still being sheltered from the wind. Even at 7 lbs, its light enough to take even on weekend trips. For ultra light solo use, the Direkt (without a vestibule), serves my needs coming in at under 3 lbs. But, at 5lbs, the EV2 is an excellent compromise if you require a lightweight and durable elite mountaineering tent. Welcome to Trailspace, Andrew! Thanks for sharing your very helpful review of the EV2. If you happen to still have some pictures of yours in action, it would be great to see them in the review. I hope you'll consider reviewing your Direkt and EV3 as well. Thanks again! Strong single walled winter tent. Lightweight, easy to set up, with good "livability" features. My wife and I have the EV2 and use it for multi-night winter ski touring in the Washington Cascades. I generally agree with other reviews and share these comments. This tent is strong. High winds and snow loads have not been a problem. The striped gray panels under the poles are magical in that they are translucent and let starlight in. In the dead of night you can “see” inside the tent by the light coming in through the gray panels. In a fullish moon, the tent is almost too bright to sleep. This feature makes a 12 hour winter night somewhat more tolerable. Great tent choice if you are tall. The tent is long enough for me (6’2”), my empty pack at my head, and my ski touring shells at my feet; all inside the tent. The tent is easy to set up, even in the dark and in the wind. The interior pockets are small. They are big enough for your headlamp but not much else. Winter nights are long (we recently spent 13 hours in the tent) and the pockets always seemed overflowing with stuff. The pockets would be more useful if twice the size or perhaps if there were more of them. 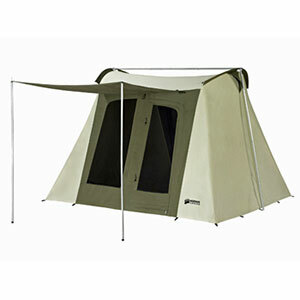 The tent would also benefit from a gear loft (like MSR Fury). The fabric is not breathable. After a cold, 5 deg. F, but calm night, with all the vents open, 3 on top, 2 lower, by morning the interior of the tent is covered with frost. Flip open your down bag and make contact with the tent walls and your sleeping bag is immediately wet. Tap the wall of the tent and the “snow” from the ceiling falls over everything inside the tent. After 2 or 3 nights this moisture build up becomes a significant winter hazard. Using the tent for a single night assault, or in a windy location (which might increase ventilation) may minimize condensation issue. It is difficult to cook inside this tent. We have opened to front door a bit (for extra ventilation) and suspended the Jetboil from the center ceiling loop, but in temps below 10 deg. F the Jetboil is not very effective. Because the vestibule has a floor, it is not conducive to white gas stoves. In foul weather you will likely have to choose between cooking/melting snow outside or trying to cook inside. Tents with vestibules (without floors) are better for cooking in stormy conditions. The stuff sack that comes with the tent is way too large. I think it they made it so long so that you can get the poles in the bag too. Forget that idea. Get one 75% of the size or cut down the original one. The poles have their own appropriately sized bag. The side panel tension tabs (right under the “Hard Wear” logo) are much more effective at applying even wall tension if pulled out horizontally rather than down to the ground. Tie the cord to your ski, ski pole, or ice axe and the tent wall will behave a lot better than in some photos. Bring 4 – 6 snow tent stakes; the kind with holes you can bury like a dead man. The tent stakes that come with the tent are fairly useless in the snow. The waterproof floor zipper near the door is a good place to empty your pee bottle. This is a one-season tent; winter only. Great single wall tent for real!! Winter season. Keep this in mind: This tent is designed for high altitude and winter season (especially under freezing). Not for trail hikes. If someone has experience in winter season backpacking, with snow and strong wind, will know how construction of tent is important. Normally in strong winds, tent skin can touch the face through night, but EV2 never does. And we do not need bug screen in the snow field. 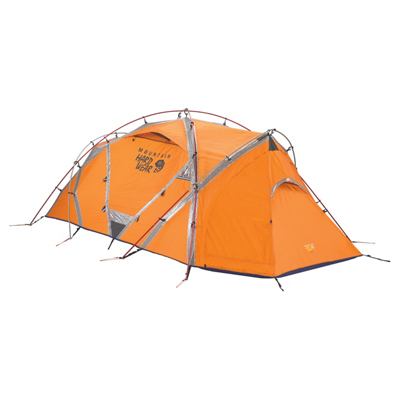 If you check details of this tent, easily now this is only for winter and high altitude. If you are trail hiker who find camp in green forest do not consider! But if you want strong, wind proof, winter season shelter for climbing or ski touring, EV2 can be great answer. Welcome to Trailspace, Kangyou Kim. Thanks for the review. Welcome to Trailspace, kangyou kim. Windproof, light, and warm. It's shelter from the storm. Top notch one-man, one-season tent. I have lived in Alaska for 35 years now, and I have REI QuarterDomes for three seasons. I love them. 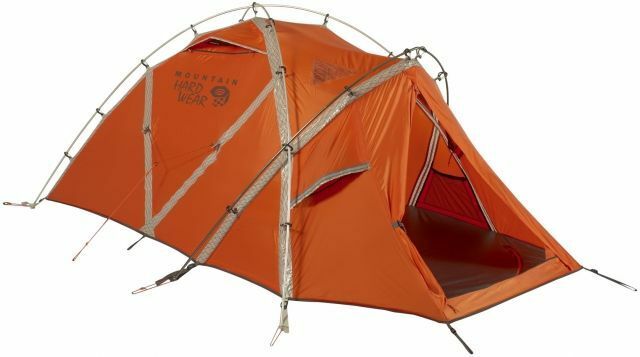 Please understand the Mountain Hardwear EV2 is a ONE-SEASON tent! That one season is winter, and by winter I do not mean rain like a California winter. I mean ice, snow, and wind. Honestly, I don't know it this tent is rainproof. I have had six inches of snow dumped on it without a problem. (Although it has been light fluffy snow.) I have ridden out 50 mph winds without a problem, and I have camped at -10° F in comfort. 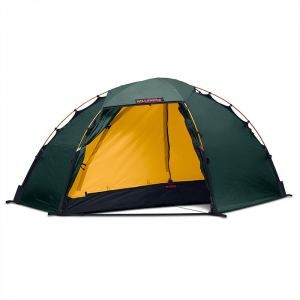 It pitches easily in high winds where tents with a fly are almost impossible. I always subtract one from the number of persons that any tent says it accommodates. That makes the EV2 a one-man tent. If I did not expect to overnight, I would bring it for two as an emergency tent. But if I DO expect to stay overnight with two I would take my EV3 or Trango 3.1. Do not expect the EV2 to be useful as a heavy-duty general purpose tent. This tent is a very specific tool, for very specific purposes. For lightweight winter mountaineering or ski/sled camping it is great. Bottom line: I love it! Welcome to Trailspace, Walt.I would LOVE to see a picture of this tent in an Alaska winter. Can you add any pics to your review? Welcome to Trailspace, Walt! Thanks for sharing your MH EV2 review. I'd also love to see some Alaska tent pictures. I originally bought this tent based on its weight and thought this would be the perfect bit of kit for winter alpine adventures in Alaska. I soon discovered that the overall floor area just isn't enough for two individuals and all their stuff in the winter. It was too crowded and cramped once we brought in all of our gear. The built-in vestibule was also a letdown. Maybe I am too set in my ways, but I need a place to leave my pack and brush off snow. I was always making a huge puddle in the hooch. The door is small and it is difficult to get inside with loads of warmers kit on your body. It was a great 1 man tent, but not recommended for 2. I can't say I give it a thumbs up for winter activities, either, especially here in Alaska or similar areas. It is light though, and is a breeze to set up alone. I am from New England and had set it up in some of the worst weather New Hampshire can throw at it. High winds, driving snow, and freezing temperatures. It lived up to the expectations of Mountain Hardwear in that sense, but I noticed that when it snowed more than a couple of inches, the integrated vestibule would start to collapse. No matter how many pickets or poles I had on the front loops, it would still collapse. The snow would just build up and up and I would have to knock it back or get out and dig, but when I got out of the tent, the snow would just fall in, covering anything in the front of the tent. The other problem was getting into the tent when it was windy and/or snowing, the snow would always get in through the door of the tent. There is no real vestibule; it’s just an extension of the floor. The same problem happened on a recent trip to Mt. Shasta, and I was so frustrated with the tent I almost left it there!!! If they had an “add-on” vestibule I probably would have kept it. It’s funny because I am so impressed with my Trango 2 and all my other gear by Mountain Hardwear and I didn’t know if I was just being picky. So, I guess the snow load factor isn’t the greatest point of the EV2 and that is why I can’t recommend it. As you would expect a tent sanctioned by Mr. Viesturs is not going to let you down even in the highest winds or worst conditions (hey, anchors are a personal issue mofo) but the single wall ventilation always makes me sleep light if snow is heavy. Don’t even think you can share this with a partner (even with minimal gear) unless extreme intimacy is not a problem (did I include my cell# here?!?). Uses: Absolutely not a four- but a three-season tent for sure as the summer is not a time you want to be in this boy. Promise! Pros: Super light, super small. Good colors (hey, this can be REAL important), fairly (hey, I don’t need to name names but she would object as well if she could) good ventilation. Super easy setup. Ultra stable, lots of room for me and my six cousins (not!). Do design a few inches and make this the only tent to own. Oh, don't forget it gets hot in the summer. Good in wind and snow, but horrible failure in windless rain. After lots of research, I decided to dish out the cash and buy what sounded like a great tent. In wind and snow it behaved well, but on one night when it rained and when the wind was absent, the condensation was so bad that all my clothing and gear (inclding my sleeping bag!!!) were wet. I had to leave the tent to sleep in a friend's. DO NOT BUY THIS TENT!!!!!! I could have spent less money for a 2-wall, adding a pound more, but staying dry. Once again, DO NOT BUY THIS TENT!!!!! I just came home from a twenty-day hike in the mountains of Norway with this tent. During the summer. Big mistake. Pros first! It pitches beautifully in a heartbeat, even when you're alone, and the wind is grabbing every inch of the tent it possibly can. It stays upright and secure in winds from every direction (the wind turned 90 degrees during the night — not the slightest problem!). I'm a small person, and for me and my boyfriend, the tent was perfect size for us and our gear. We were prepared to leave our packs outside the tent, and had no trouble storing our shoes in the integrated vestibule. As I am a rather small person, the light weight is of great importance to me. It weighs next to nothing, and I have no trouble keeping up with my (much bigger and stonger) friends with this tent in my pack. Cons: It leaks. In rain, we got most of our gear soaked. In bright sunshine, the condensation was unbelievable. After 23 days, I thought I'd figure out how to keep dry in it (it is after all an expensive and high-performance tent! ), but no. And we really tried everything: all vents open, some closed and some open, pitching it loosely and tight, closing vents that were in direct exposure of the wind... The only weather that we actually could stay dry in, was no rain, with a good breeze coming in to keep the condensation out. I really hope something is wrong with my tent, or that it might work better in the dry and cold winter I'll be able to test it in a few months from now. Spent 48 hours at the base of Mt. Rainier in this tent in cold wet weather. Tent was vented at night and condensation from its two occupants showered down on us whenever it rained, soaking our gear (bags and pads) sufficiently to make a summit attempt miserable! Next year I will bring my Eureka High Camp tent as the fly will allow the tent to breathe and make for a more enjoyable climb. Maybe this tent is intended for cold, dry, high altitude climbing????? The Mountain Hardwear EV 2 is not available from the stores we monitor. It was last seen January 19, 2018	at REI.